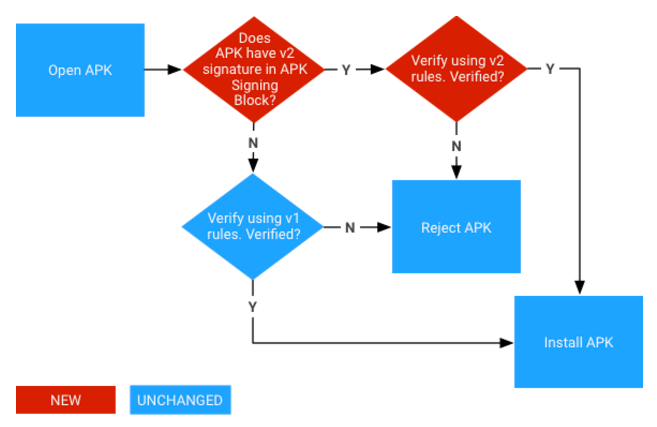 In Android 7.0, APKs can be verified according to the APK Signature Scheme v2 (v2 scheme) or JAR signing (v1 scheme). Older platforms ignore v2 signatures and only verify v1 signatures. You can use apksigner to check if an app is signed with v2 scheme or not.